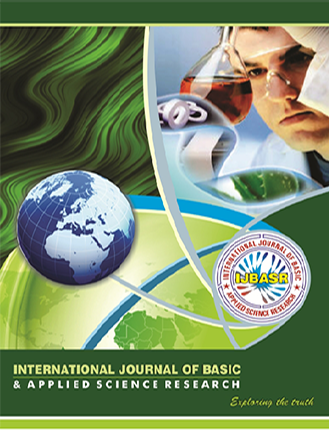 The “International Journal of Basic and Applied Science Research” (IJBASR) is peer reviewed Journal, associated with the publication of original research work and review articles in the field of Life sciences i.e., Biotechnology, Bioinformatics, Pharmacy, Environment, Botany, Zoology and related research field. Its ISSN No – 2349-1965. The journal provides full access to research publication and devoted to the publication of new research going on within these scientific areas. The journal provide opportunity to work in the development of nation by the help of scientific knowledge through Research scientist, Research scholars, Academician, Industrialists, and Consultancy etc.